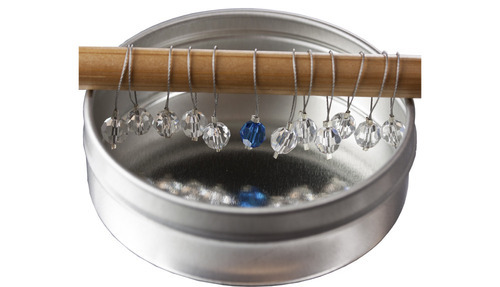 Put a little sparkle in your knitting with these handcrafted Swarovski Crystal Stitch Markers! 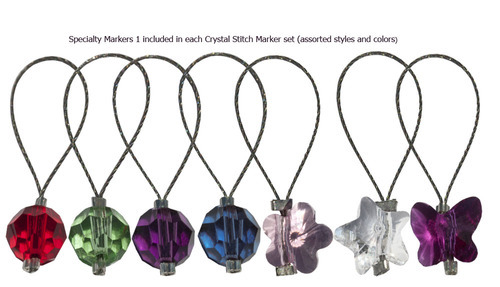 Each set of 12 contains 11 stitch markers with a clear Swarovski Crystal bead, and 1 specialty stitch marker with a colored or shaped Swarovski Crystal Bead. This set of stitch markers comes inside the Round Accessory Tin. Available for a limited time only. Assorted Colors Only.